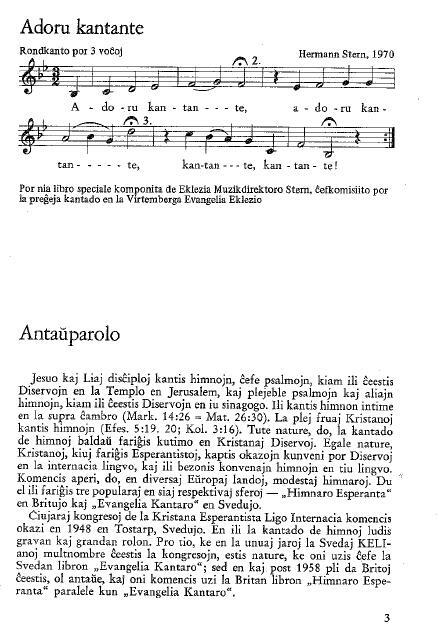 I’m working on a spreadsheet of the contents of Adoru kantante, the Esperanto-language hymnal published in 1971 by Kristana Esperantista Ligo Internacia (the International League of Christian Esperantists, a Protestant organization mainly active in Europe). I’m posting a few page scans here so I can discuss editorial questions with the experts at hymnary.org, the database the spreadsheet is ultimately intended to enrich. 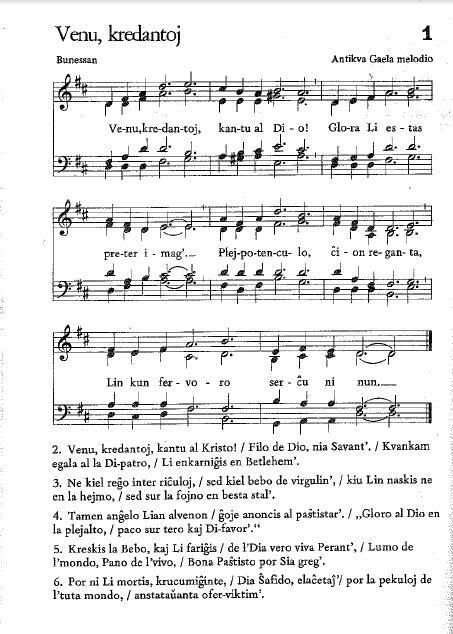 1) should I translate stuff like “Antikva Gaela melodio” into English, or should I enter such information as given in the hymnal? 2) should I enter the first line with the hyphenation given in the hymnal, or without hyphens as the text would appear if not printed with a musical score? This entry was posted on Oktobro 25, 2011 at 7:19 atm and is filed under Uncategorized. You can follow any responses to this entry through the RSS 2.0 feed. You can leave a response, or trackback from your own site.